Beat Hess, Chairman of LarageHolcim, admitted that three former executives from the Swiss-French cement company were involved in indirectly financing IS. In an interview with French daily, le Figaro, Hess said that the company should have stopped its operations in war-torn Syria earlier to avert such “unacceptable errors” to safeguard the company’s reputation. 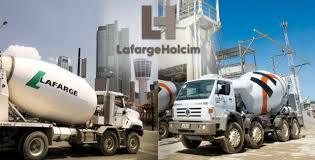 Lafarge is accused of paying IS and other militants through a middleman in order to allow the company’s factory in Jalabiya, northern Syria, to continue to operate. It is also suspected of using fake consulting contracts to buy fuel from IS, which took control of most of Syria’s strategic oil reserves in June 2013.